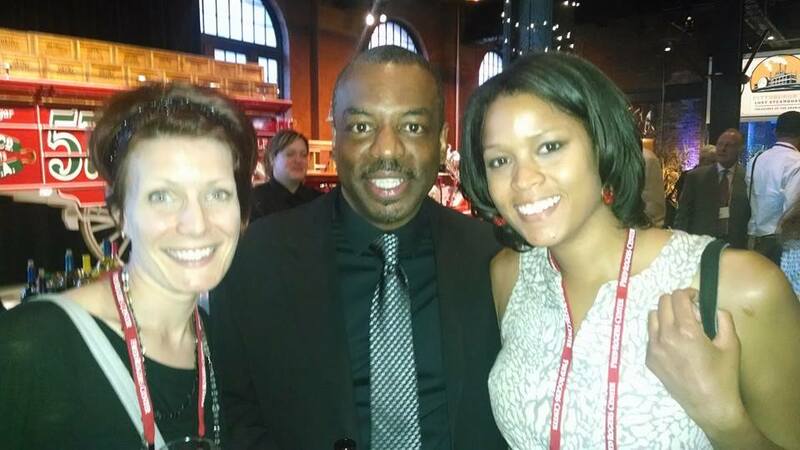 Amanda Armstrong from the TEC Center & I got to hang out with LeVar Burton near the retro ketchup truck. I had the great challenge and honor to represent LittleeLit at Fred Forward last week at the Senator John Heinz History Center in Pittsburgh. It was a challenge because I was on a panel on Maker Spaces in Libraries (a little outside of my area of expertise, but definitely related. Many thanks to Mike Robb, Director of Education and Research at the Fred Rogers Center, for asking me to present and pushing my boundaries with the content) and also because the room was full of people whose research I cite, and whose practices & policies have guided most of the work we’ve done here at LittleeLit. Here is what I shared, and here are a list of resources from my session and others. Also, the “come and sit down” song that I sang after our hands-on activity was one I learned from the amazing and inspiring Francie Dillon. Won’t you come and sit down with me, Francie? Posted on June 5, 2014, in Literacy. Bookmark the permalink. 2 Comments. It was so great to meet you and, honestly, it’s great to hear that the maker talk was a little out of your comfort zone as well! But, I loved hearing from all perspectives on your panel and it has pushed me to find more outlets for my born-maker six-year-old, including our local Dallas library! Love your comment that ideas and can be both found and born within libraries! Hi Candis! It was great chatting with you too, and learning about Ready Rosie. I would really like to see if we can see if there’s a way we might be able to work together, too. You’re doing such great work!